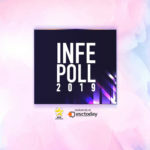 According to INFE Azerbaijan reports today, the national broadcaster of Azerbaijan Ictimai Televiziya (ITV) will opt for another year for an internal selection in order to determine its next Eurovision act for Tel Aviv. According to INFE Azerbaijan’s post the Azeri broadcaster will be holding internal castings in order to decide the next Eurovision representative. The first casting is scheduled for November 20. According to the same source the national broadcaster will be holding several castings of specifics acts, who have been invited by ITV. however it remains indefinete which process will ITV follow after the castings and which will be the format to determine the song that will represent the country. Official announcements are expected soon by ITV specifying all the aspects of this year’s Eurovision national selection . We remind you that the country confirmed its Eurovision participation early September as the head of the artistic department of ITV Leyla Quliyeva went public with the broadcaster’s intentions.